If you get a warm fuzzy feeling when you walk through the aisles of your local Staples or Office Depot, there’s a good possibility that you’re caught in the grip of a condition we might call school supplies nostalgia. If mere mentions of terms such as “Trapper Keeper” and “Crayola 64” trigger pangs of sentiment, then you’re really deep into it. And if you’re a parent whose school supply purchases for your kids are influenced by memories of your own pencil boxes and notebooks, well, perhaps we need to talk about counseling options. 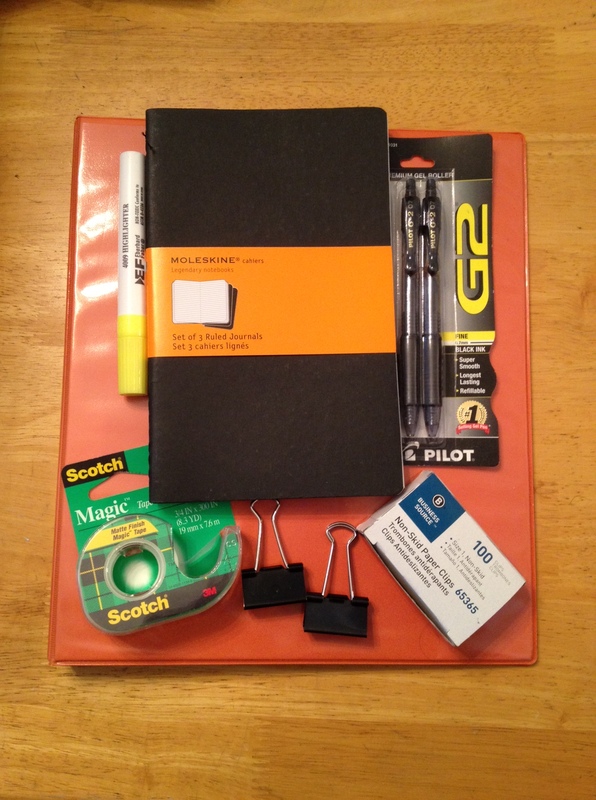 School supplies nostalgia can happen to someone of any age, but those of us who went to grade school in the days before everything went digital are especially susceptible. Shopping for school supplies was part of our fall ritual, and our local retail stores would stock up on them in preparation for the annual onslaught. If you have this condition, the good news is you’re not alone. Google “school supplies nostalgia” and you’ll see what I mean. Childhood memories may be at the core of school supplies nostalgia, but there’s more to it than that. Crayons, pens, index cards, notebooks, and simple blank paper were among our earliest forays into creating, expressing, and preserving our emerging knowledge, ideas, and art. They served as open invitations to use our minds. As the regimens of memorization, testing, and grading become a bigger part of our lives, it seems like those invitations are withdrawn from us. I fear that a lot of creative lights are snuffed out that way. So . . . perhaps the school supplies aisles aren’t just for kids. If you’re a writer, artist, or other creative sort (or want to be! ), try this out: The next time you want to do some thinking and brainstorming at your local coffee shop or library, leave your laptop at home. Instead, bring a notebook and pen and spend an hour or two jotting down thoughts, ideas, and lists or making drawings and doodles. Maybe we all should put our gadgets away long enough to express ourselves on paper. A lined sheet of paper or ruled notebook allows us to preserve our thoughts and ideas in our own handwriting. A blank page or sketchbook invites us to draw, diagram, and imagine. Before you know it, you’ve got your own portfolio of stuff, and you never had to worry about clearing a jam in the printer.